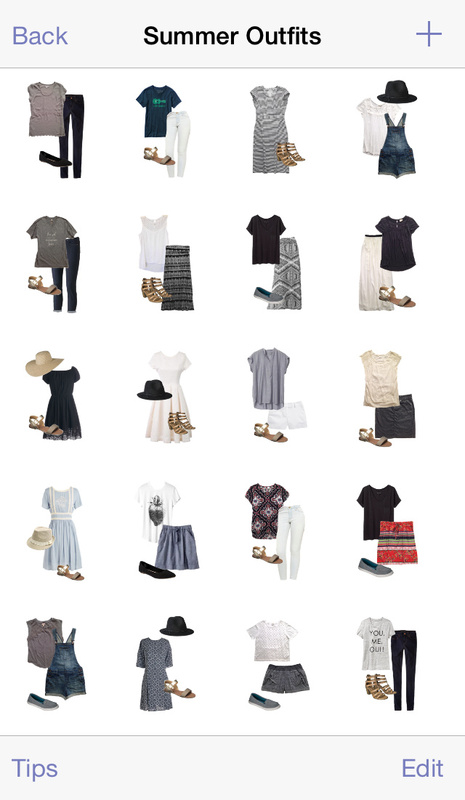 If you’ve been following along with my capsule wardrobe posts, you probably remember me mentioning the Stylebook app. (If you’ve just arrived, you can catch up here.) Today I want to show you why I love it so much! Stylebook is like a virtual closet. I upload pictures of all my clothing, along with information for each piece such as the brand, size, and price. 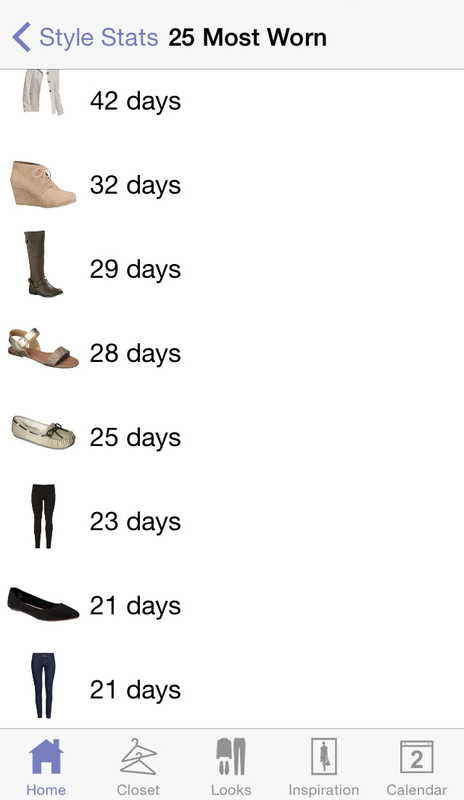 I keep track of what I wear every day on the built-in calendar, and the app calculates statistics including my 25 most-worn and least-worn items as well as cost-per-wear and best and worst value! Size Tracker – a place to record all my measurements — this is super handy for shopping online, which I prefer over shopping in store because I’m not a big fan of shopping. I can compare my measurements to the size charts at a glance without having to remeasure every time! Also, I tend to forget which sizes work for me in which brands. 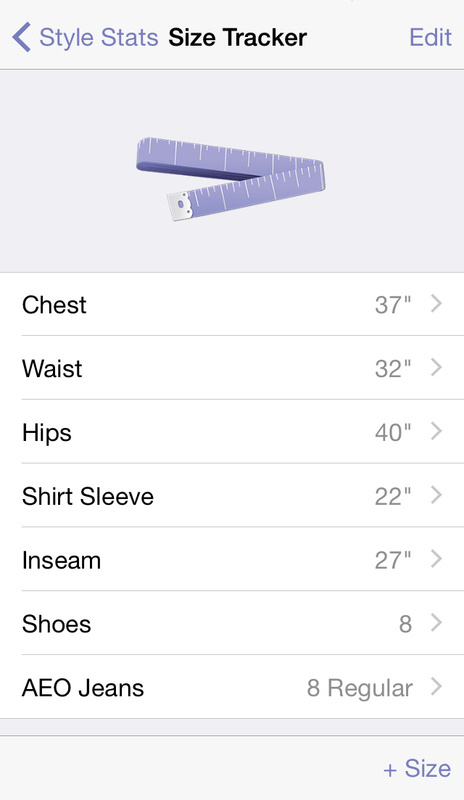 You can record custom data here in addition to the built-in measurements. Inspiration – a place to organize screen grabs I want to keep for future reference, selfies from the days my look turns out great and I want to remember a particular combination, and favorite Pinterest pins. The app provides a great visual for planning what to wear, what to purchase, and what to pack. (Speaking of packing, you can create packing lists for upcoming trips and dream destinations, as well!) And, throwing together outfits on the “Looks” page is not only a great boredom buster on road trips and such, but is an easy exercise in creativity with mixing + matching different pieces. 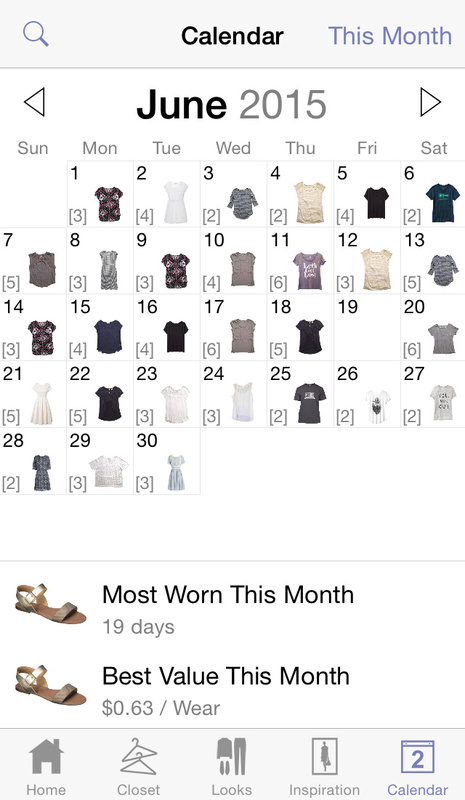 So, how has using this app helped me figure out the capsule wardrobe thing? Well, it tells me exactly what I wear the most, when I wear it, and for what occasions. I’ve been able to figure out which pieces are worth splurging on because they get worn so often, and which pieces, much as I love them, just don’t fit my lifestyle. I’ve also gotten a better handle on what colors and styles I gravitate towards, are the most versatile, and make me feel good about what I’m wearing. And that’s what capsule wardrobes are all about — finding a small amount of pieces that you love and are worth their cost + real estate in your closet! Is there any capsule setting on Stylebook? 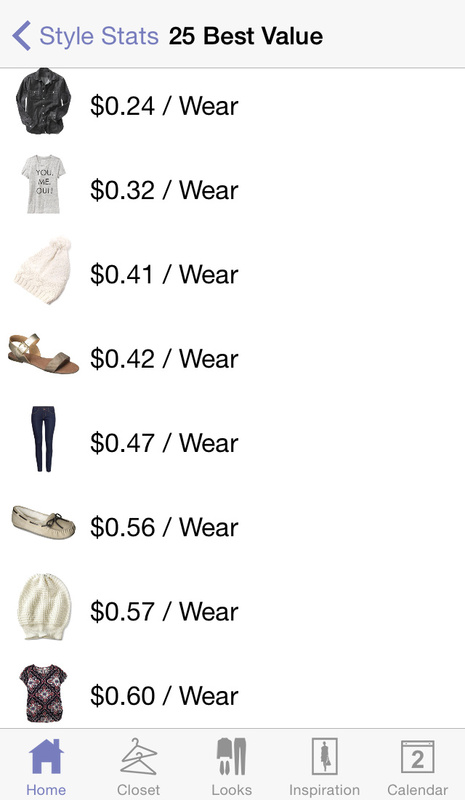 I’d like to buy the app to help me organize my capsule wardrobe, but I don’t like the idea of having all of the items that I own that aren’t in my capsule wardrobe mixed in with the ones that are. It seems like deleting items an uploading them again each for capsule would be a hassle. Do you have any tips? Hi Susie! That’s a great question; and here’s what I do. I have a category called “Current Capsule” with subcategories for tops, dresses, etc. Then I have a “Storage” category that everything gets moved in and out of. Hope this helps, and please let me know if you have any further questions…I’m happy to help! I downloaded Stylebook yesterday to help me organize my Spring capsule and I had SO MUCH FUN last night. I expected it to feel more like work. I actually had the same question as Susie and am so happy you answered it! I hope you don’t mind me sharing with you my struggles, perhaps you will have a suggestion? I’m having a lot of trouble with using a color pallet for my spring capsule because right now I am super into pastels, but I also love bright colors and black and white. Since I don’t have a lot of work appropriate attire (being an Americorps in a business casual office! ), I can’t really afford to buy much that matches and feel like I need to keep in pieces that don’t really match well with others. I’m still trying to figure out how to balance all these different things…what do you think? Hi Amber! I understand your struggle. Believe me, my first capsule was not very color coherent! Figure out what works for YOUR style + budget before trying to adhere to someone else’s rules. And I’m here to help anytime you have questions!